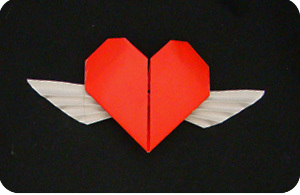 I didn’t know who created this Heart with Wings model but word has it that it was created by Francis Ow. In retrospect, that is not surprising since he is just the king of origami hearts! 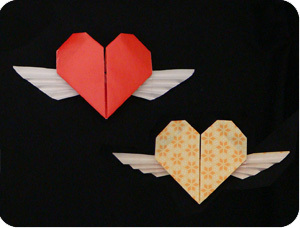 Heart with Wings is a cute origami model which will make your darling’s heart flutter and fly. 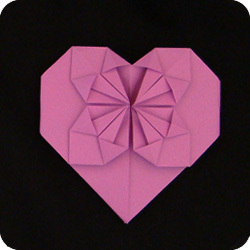 The model is a little more involved compared to the other “easy” paper hearts; however, the result is quite delightful and well worth the effort. The only hard part is step 8 which requires you to make two reverse folds. 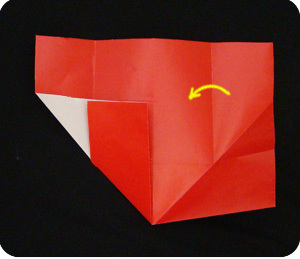 This simply means that you make a fold, then turn the paper around to make a fold along the same crease line but now, in the other direction. This is often in the form of a mountain fold followed by a valley fold (or vice versa). 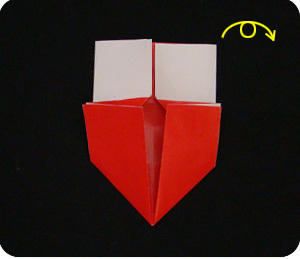 Fold in half (left to right) and unfold. 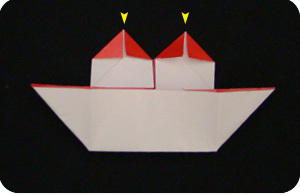 Fold in half (top to bottom) and unfold. 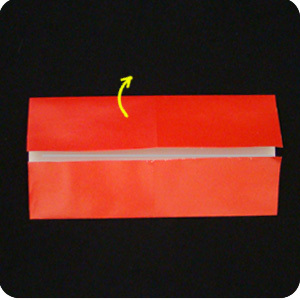 Fold the top-edge and the bottom-edge towards the middle crease. 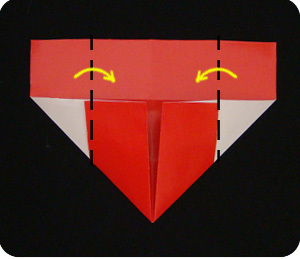 Fold up the bottom-left and bottom-right corners so they meet in the middle. Fold the left-edge and right edge towards the middle. fold the right-edge back in about 3/4 of the way. 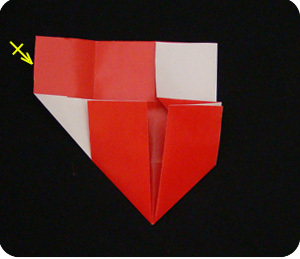 Make a reverse fold by turning a mountain fold to a valley fold. 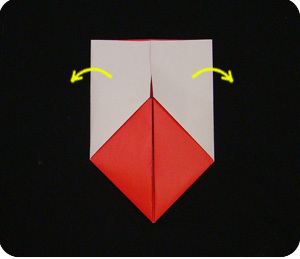 Make another reverse fold so the flap swings back in. 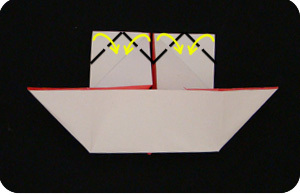 Lastly, fold up the bottom flap so the paper is folded zig-zag. Repeat step 8 on the other side. Fold down the entire top-section. In transition: press the paper flat. 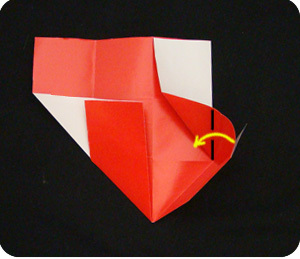 Make valley folds so the paper swings out and open. 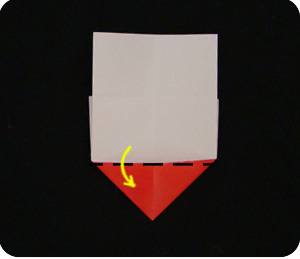 Use the existing crease to fold up the bottom-edge. The corners will flatten into points. 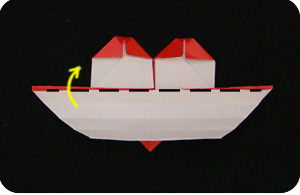 Fold down the top corners so you get the top of the heart. Fold down the tips so the corners are more rounded. To make the wings, make 3 valley folds with the bottom part of the model. Swing up the bottom part of the model. Make 4 valley folds in between the existing creases. Flip the section back down. Pinch the center to emphasize the creases. Turn the model around and you’re done! I told you it’ll be worth it!